One of the fastest ways to attract potential traffic to your website is pay-per-click (PPC) advertising, Using tools such as Google AdWords. Businesses can get their ads displayed in the sponsored results section of search results pages for a fee each time someone clicks their ad and lands to their website. But PPC can be risky if not executed properly. You can end up spending a lot of money without getting the desired number of clicks to your website. But don’t panic !! Our team of professionals will help you create a successful campaign keeping in mind the needs of your clients and market condition. We deliver results that help our clients achieve their business objectives. We manage our clients’ accounts regularly and monitor bid prices and budgets to ensure that we are maximizing ROI. 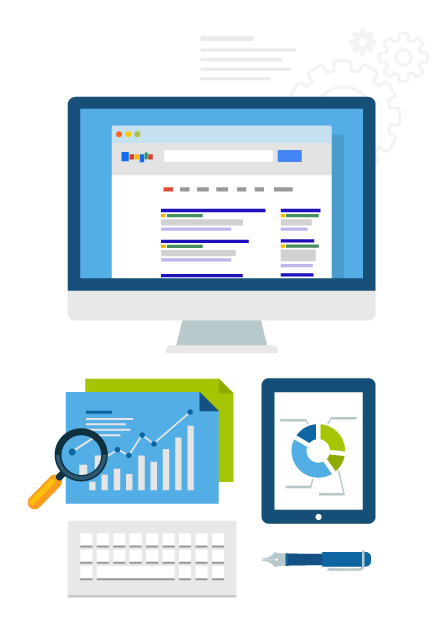 We offer professional PPC Services that not only help increase website traffic but also increased your leads. With an optimized campaign your PPC campaign will get ranked for important keywords & get you on front page of Google.